Hello and welcome to my new website. My name is Kaitlyn Anne and I have Spinal Muscular Atrophy Type 1. 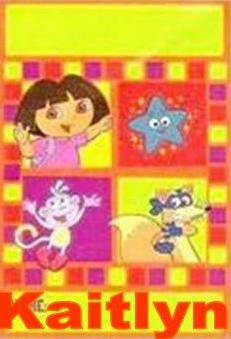 I LOVE Dora and being the center of attention. After all, I'm the superstar! I have 2 brothers and they are great at entertaining me. Stay tuned, my website is new and we're just getting started...Don't forget to sign my guestbook, so I know you visited!